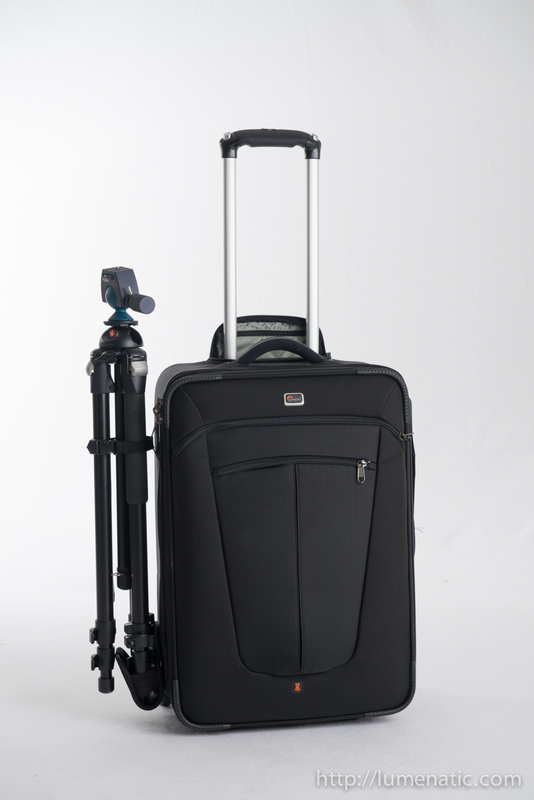 When going on a shoot you might want to take a lot of gear. Cameras, lenses, flashes, accessories, you know what I am talking about. 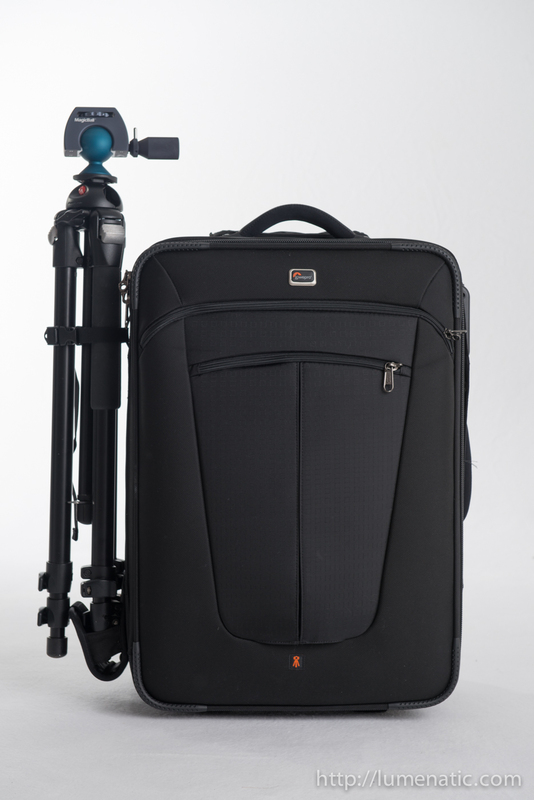 When it comes to packing a lot of stuff for a shoot, a rolling case might be a good option for you. 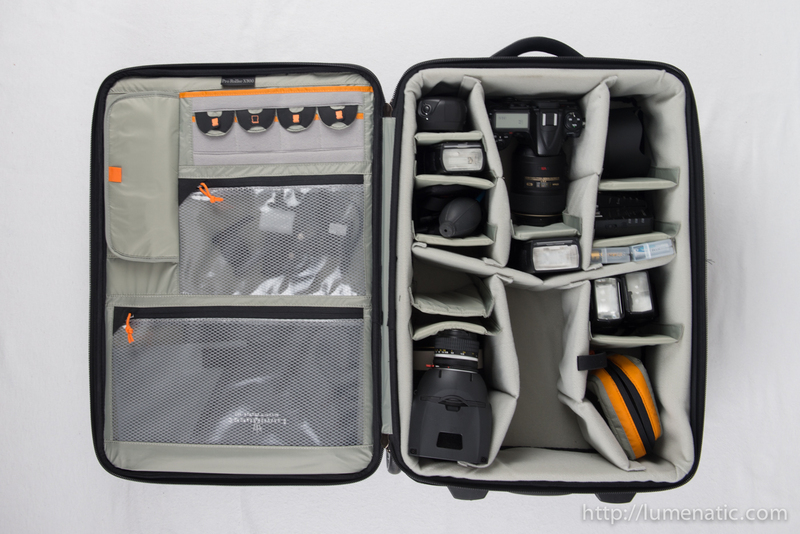 Recently I got the Lowepro pro roller X300 rolling photo case, which is the largest model of the Lowepro rolling case series. The interior can be divided with velcro pads (there are many more pads, I removed some for the packing test). 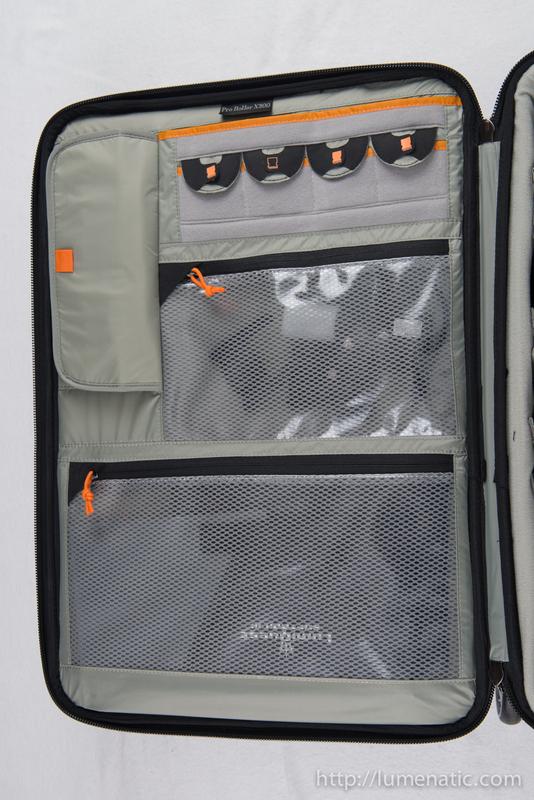 The X300 has tons of pockets and space to fit your gear. 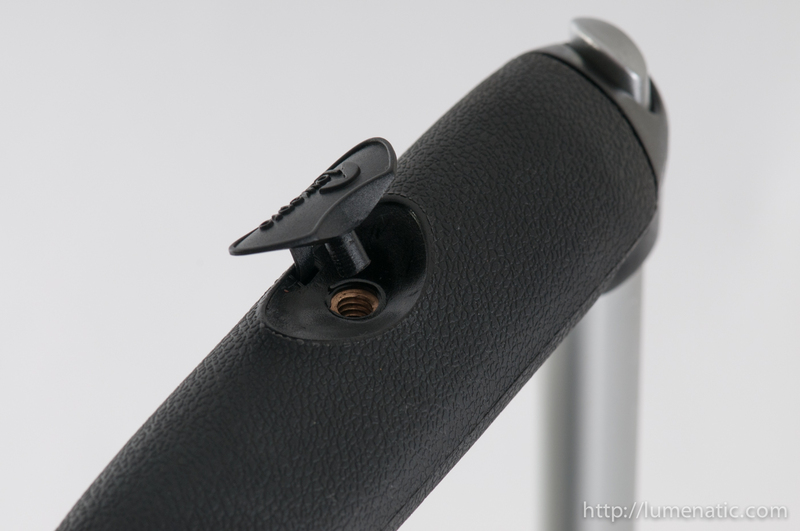 The main compartment can be individually divided by velcro pads. There are so many velcro pads that I removed six of them because I did not need such small pockets. For a packing test (see video below) I stuffed nearly every piece of equipment that I could find into the case. It all fits and I still had some space available (and I did not optimize my packing, so there might be even more space). 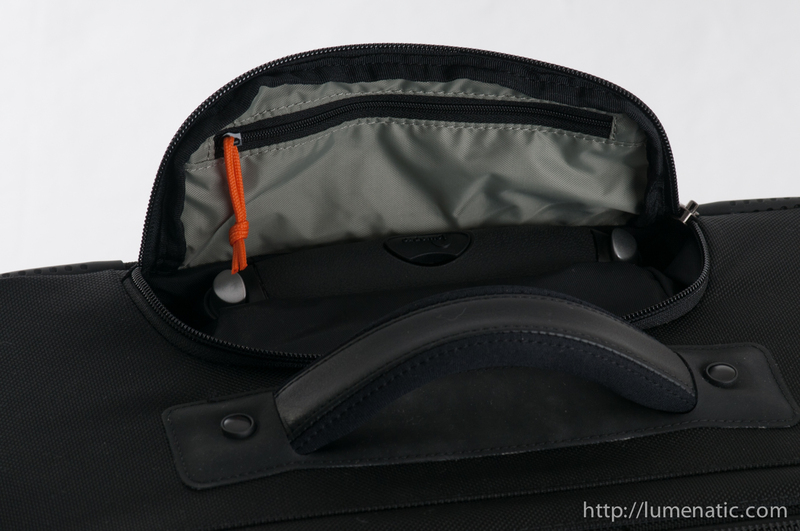 The front cover of the bag holds two large pockets on the outside. One can hold an iPad, the other one is large enough to accommodate a 15″ laptop. On the inside of the front cover there are four pockets for memory cards, a pouch for a pen and business cards and two larger transparent pockets for filters, cables and whatnot. In this video I demonstrate the capacity of the bag. Note that I packed _everything_ I could find. 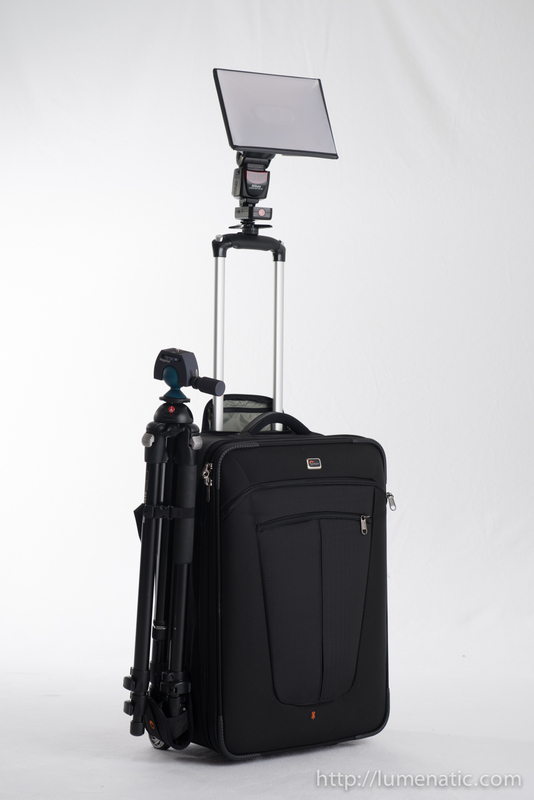 Usually you pack for a specific shoot, and therefore one never needs every single piece of equipment on a shoot. 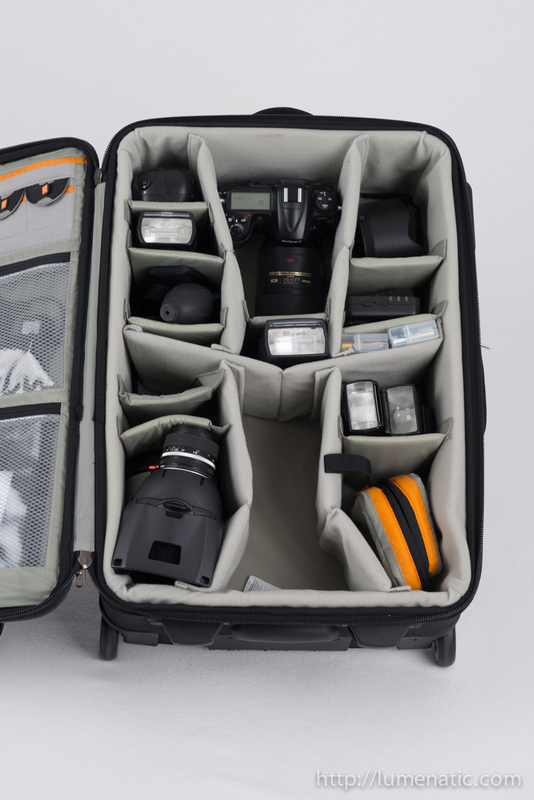 So the bag might even suffice for your equipment AND some clothing for a short trip (if you are willing to store your dirty socks next to your prime lens that is) ? 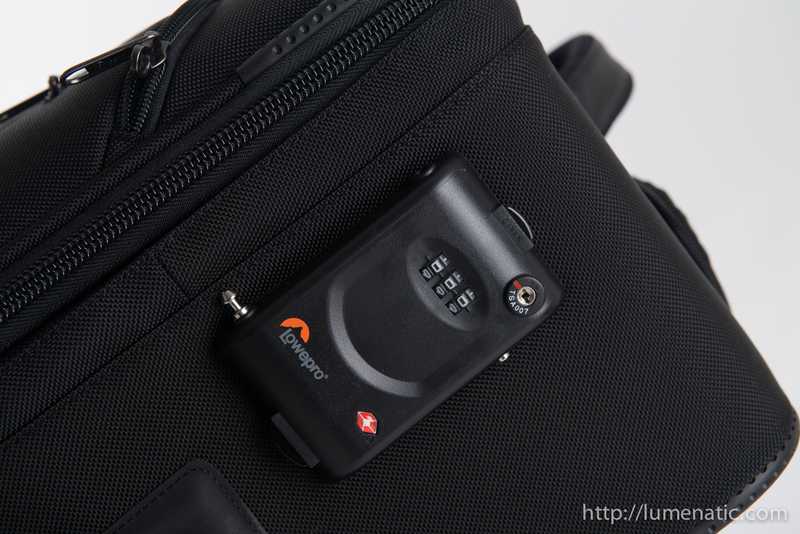 The pockets for the memory cards feature an indication system for managing full and empty cards. 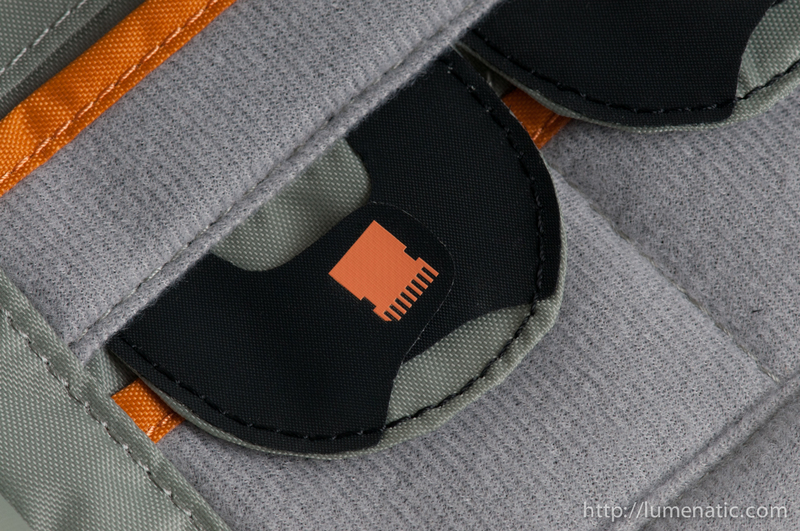 The pockets have two overlapping rubber flaps, printed with a symbol for a full and an empty memory card. Depending on whether the memory card is full or empty the corresponding flap is on top. 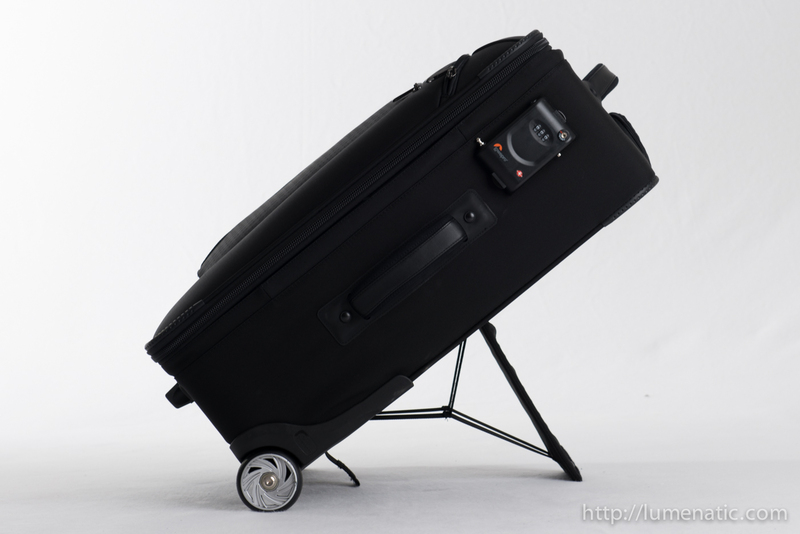 The bag features a fold-out stand, so that the whole bag can be popped up at a 45° angle for convenient access of the contents. 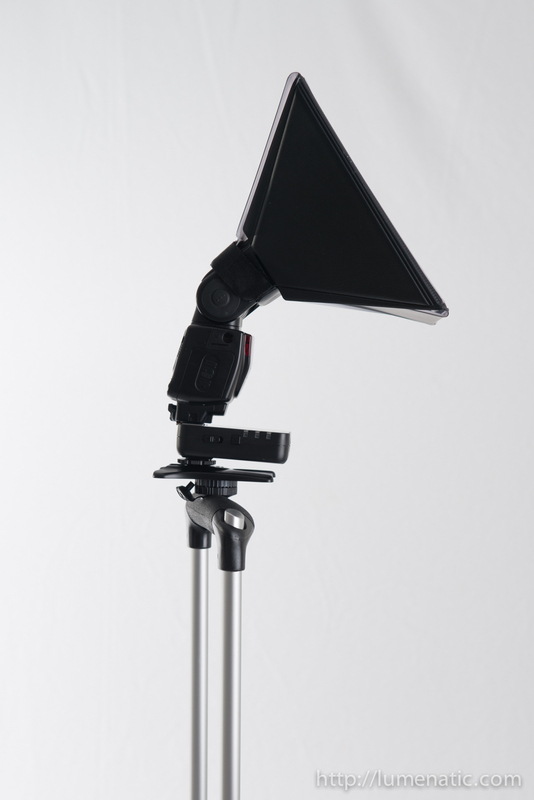 A tripod can either me mounted at the top or the side of the bag. The main compartment can be removed by unzipping it from the main shell. Voilà, you have a large backpack ! It may not the be the most comfortable backpack for a long hike, but for transporting your gear on rough terrain this is great. 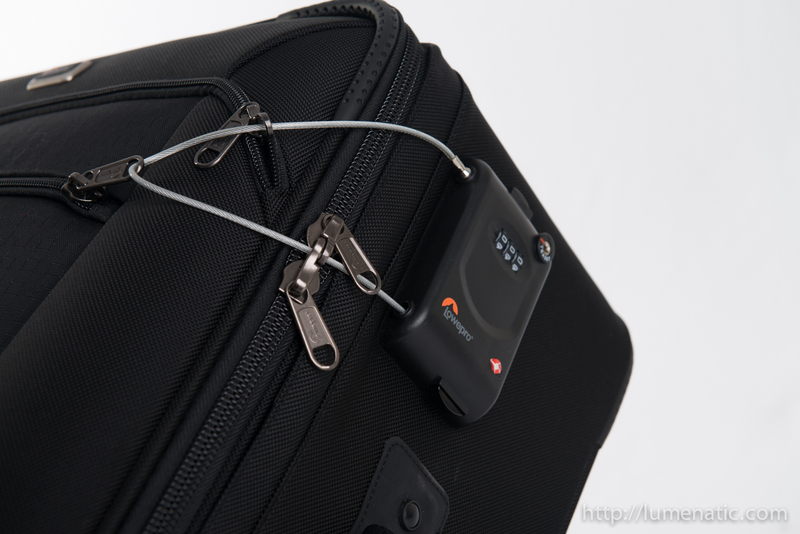 A built-in security lock with steel wire ensures, that no unauthorized access to the valuable content can be made. The steel wire is threaded through the zippers. 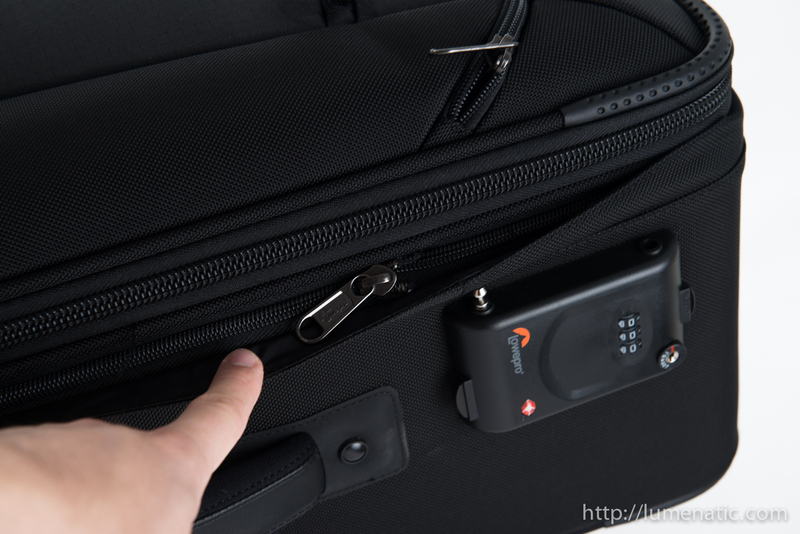 The lock is TSA approved, which means that security personell at the airport has a special key to open the bag without knowing the combination of the lock. Side note: The bag is too large to be carried as hand luggage on an airplane ! 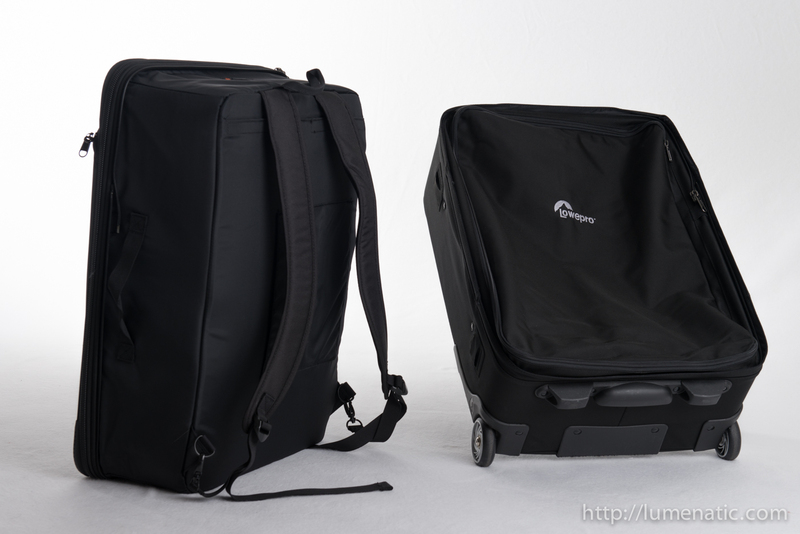 If you want a hand luggage compatible rolling camera bag you might want to look at the Thinktank Airport Series or the smaller versions of the Lowepro Pro Roller (X100 and X200). 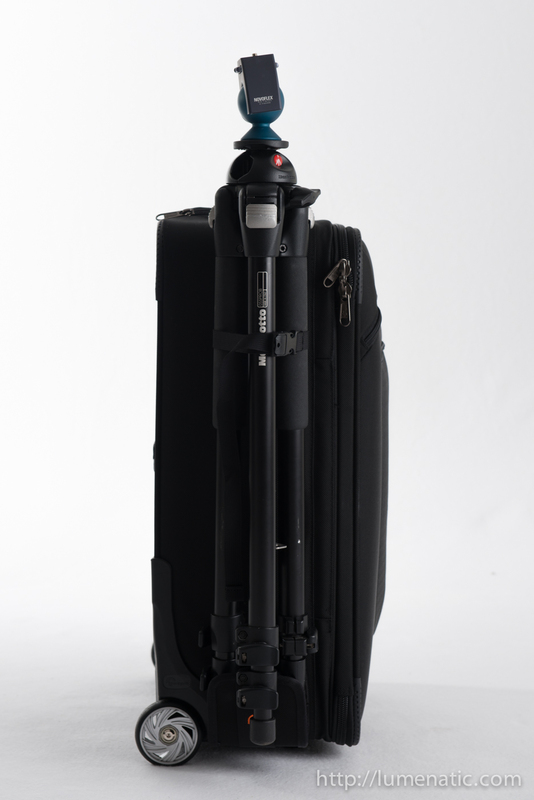 If you don’t want to fly with your equipment or if you are bold enought to check it in the Lowepro pro roller X300 is a roomy choice. 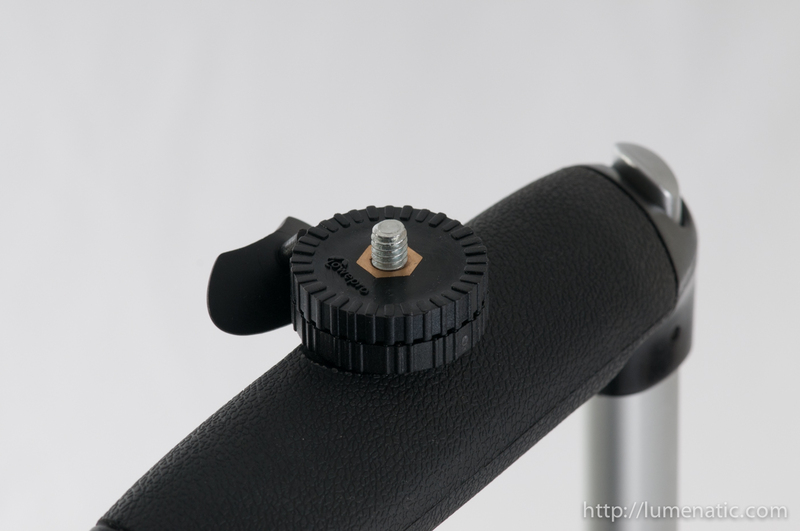 The price of the pro roller X300 varies. I found prices between 350 € up to 550 € (for the same product, I reckon there are people who don’t compare prices…). 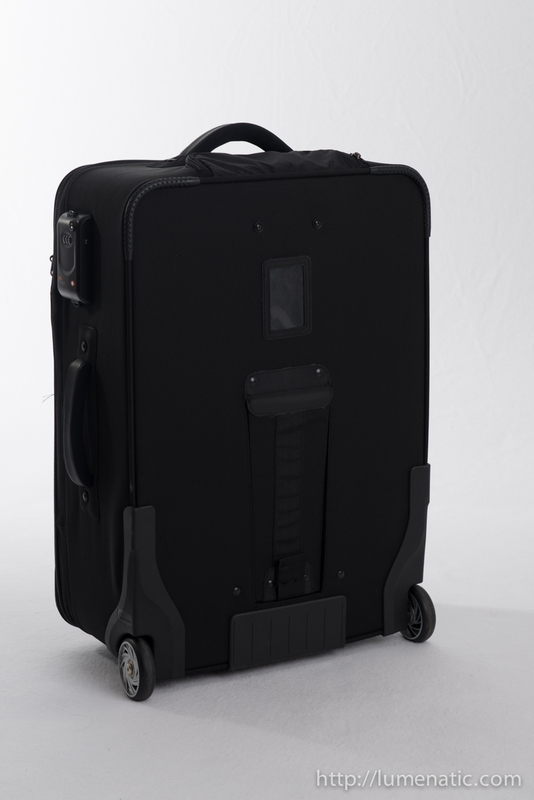 Bottom line – a well built, well-designed rolling case which holds enough space to satisfy even the largest hunger for equipment. Security lock with a three-digit number code. The keyhole above the numbers is for the travel security agents. They have a key for such locks and can inspect the inside of the bag if necessary. 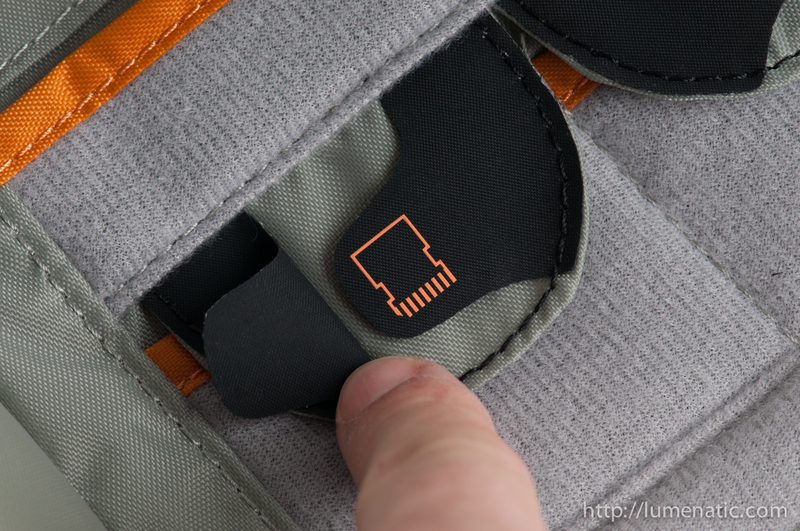 The wire can be threaded through the zippers. 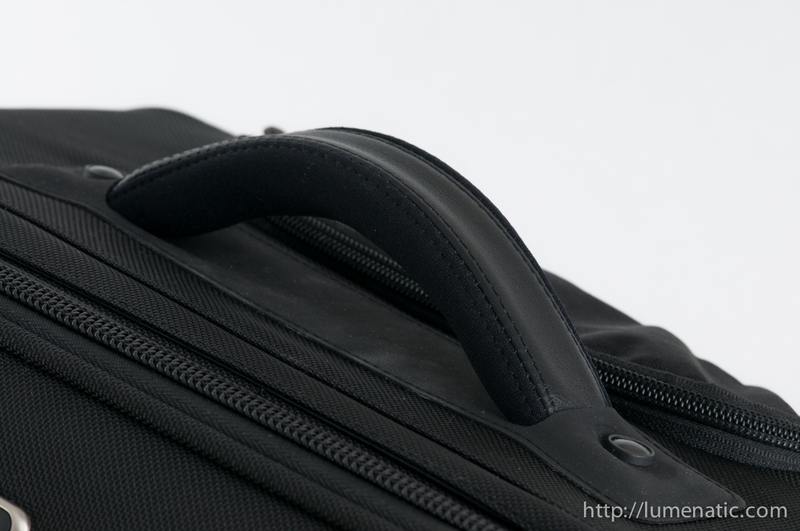 The main compartment can be removed from the case anf voilà – you have a backpack ! 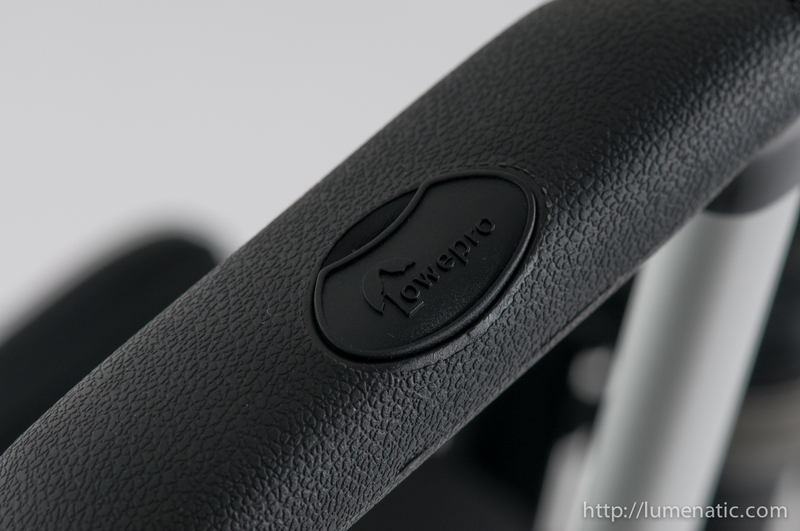 The interior can be subdivided with velcro pads. Some velcro pads have been removed for this photo. Clever system for memory card management. The four pockets each have to rubber wungs with a “card empty” and “card full” logo.